Less than a week after the joint military exercises with the U.S. in the Yellow Sea, South Korea’s new defense minister, Kim Kwan-jin, is aggressively assuming his post. Last Friday at the National Assembly Kim declared that the North would face aerial bombardment if it launched any future attacks, adding that the enemy should be “punished thoroughly.” Government sources have been consistently saying that another attack is likely citing evidence of a military buildup by the North near the 38th parallel. Over the weekend Kim visited Yeonpyeong Island to get a firsthand look at the damage inflicted by the North’s shelling. At the same time residents were starting to return to the island to try to assess the damage and see what can be rebuilt. The government plans to compensate victims for damage but first people need to return to officially report what damages occurred. (The problem is few have returned and some may not.) The National Assembly already passed legislation for reconstruction and fortification of the five frontline islands. 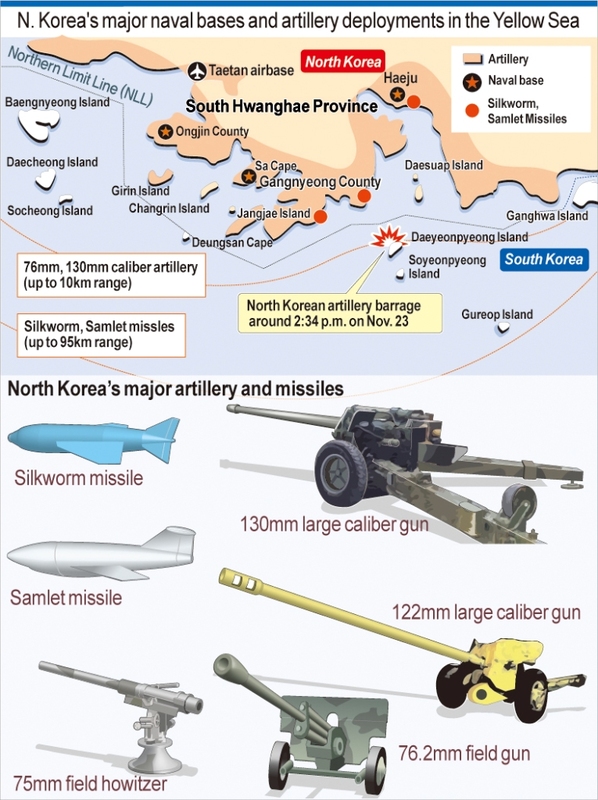 In related news, the military has announced that it will conduct live-fire exercises at 29 different locations off all three coasts this week including Daecheong Island in the Yellow Sea. This has raised some anxiety as live-fire exercises near Yeonpyeong Island are the reason North Korea says it shelled the island. More calls are coming for the military to bolster its forces–the latest has come from the Commission for National Security Review which advised President Lee to expand the Marine Corp, the toughest of Korea’s tough. Meanwhile, Japan and South Korea’s foreign ministers are in Washington this week to discuss how to deal with North Korea’s aggressive and vexing actions. The three allies will certainly be discussing the readiness of their militaries and their ability to fight as one. Following the Yellow Sea exercises last week, the U.S. and Japan are holding the “Keen Sword” exercises on mainland Japan, Okinawa and in coastal waters through December 10. All in all, from Seoul, it feels likes things are ratcheting up in the region. If anything, the attacks on Yeonpyeong revealed numerous chinks in the South’s armor that weren’t apparent following the sinking of the Cheonan: howitzers that don’t work, bomb shelters that are ill-equipped and outdated, soldiers that seemed unable to hit a target and a chain of command that sent our mixed messages. In addition, it showed that while the Sunshine policy flooded the North with aid, the South’s military was neglected and in some cases, allowed to rust. Reports from local and foreign press say that North Korea has shelled Yeonpyeong Island off the west coast of Korea along the disputed maritime border starting at 2:34 p.m. Tuesday, November 23. Apparently more than 1000 Koreans reside there. Reports say a thousand Korean Navy sailors are posted on the Island (a nationwide military drill called the “Hoguk”–defense of one’s country in Korean–began yesterday). President Lee Myung-bak has convened an emergency meeting at a bunker under the Blue House while, reportedly, fighter jets have been scrambled. As of 5 p.m. one South Korean soldier has been reported dead while four soldiers were wounded. Residents have been evacuated to safe houses. “Houses and mountains are on fire and people are evacuating. 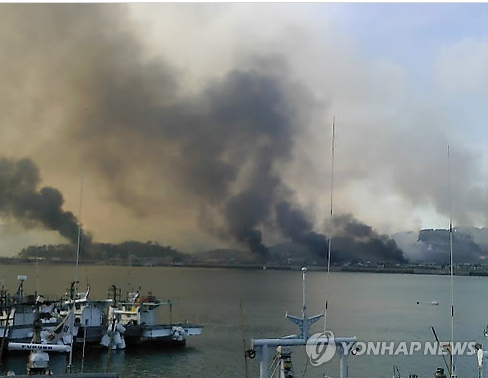 You can’t see very well because of plumes of smoke,” a witness on the island told South Korea’s YTN television station. The island has been the location of skirmishes in the past with the last occurring in 2002 where both sides suffered casualties in a naval clash. B.R. Myers, a North Korean expert, offered a insightful look into the situation as it is. 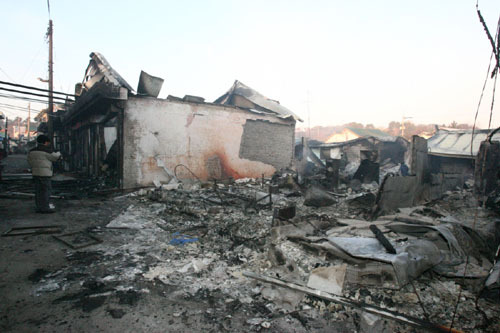 As of Wednesday, November 24, it is reported that two marines were killed in the shelling on the island. 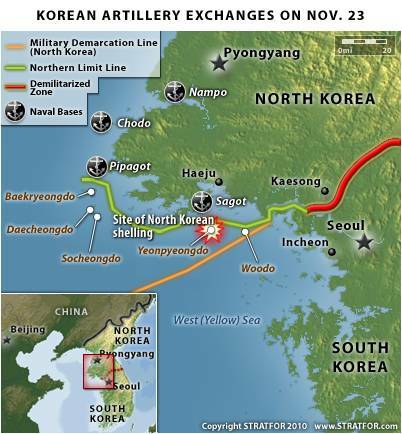 Lt. Gen. Lee Hong-ki, head of military operations at the South’s JCS, released the details. The general confirmed that two marines, Sgt. Seo Jeong-woo, 24, and Pvt. Moon Kwang-wook, 20, who were stationed at the island’s Howitzer installation died from related injuries while being transported to a hospital in Seoul by helicopter. Six were seriously injured and 10 others suffered minor injuries, he added. Three civilians were also reported to have been hurt, with two people, an elderly and a schoolgirl, missing. Two civilians were also found dead at a construction site Wednesday. South Korea has announced that it will suspend any aid to the North and strengthen its firepower. 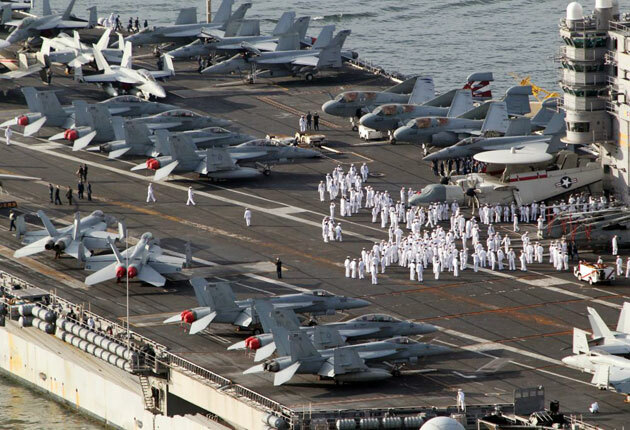 America and South Korea also announced that they will go ahead with a four-day military drill in the Yellow Sea beginning Sunday that will include the the aircraft carrier USS George Washington. Meanwhile, North Korea claimed that South Korea started the conflict by firing into its side of the maritime border during the Hoguk military exercises. Washington has “condemned” the action calling it “belligerent” and reaffirming it’s support for and alliance with the South. On the streets of Seoul things proceed as normal although there is a new sense that something has changed given the fact that civilians were targeted as well. Some people say that this is different from the past when only military targets were hit or government officials targeted. One person that 3WM spoke to mentioned the Axe Murder Incident in August of 1976 when two American military personal were killed in the DMZ during a “tree-trimming” operation. Experts say that the incident was a move to prove Kim Jong-il’s power within the North. Some people in the South are saying that this latest attack has something to do with Kim Jong-un’s recent appointment to Daejang, the same as a Four-Star General in the U.S. In a sense they believe this was carried out under his order. base in Gaemori where the shells were fired from. Though none of this has been confirmed and the source remains anonymous. Asked about the proper responses, many students hesitated offering any kind of answer. When asked if the response from the government had been proper the majority said there should have been a heavier bombing at least to an equal magnitude of what the North used (the North fired roughly 100 artillery shells, and the South responded with around 80). Most just wanted things to remain normal. Yet what one sees amongst the younger generation is a general lack of knowledge of the history with the North. It’s kind of like the neighbor next door that no one knows much about and doesn’t have time to be concerned with. There are things to do. Most students are worried about the next test. The Korean War is like a far off foreign place. When, why and how it happened is of little concern. It is history in the most pejorative sense of the word. Teachers at one monkey’s school joked on the day of the shelling that people needed to leave the office early and get home to a safe place. Strangely the office was mostly vacant–except for the monkey and the vice principal–by 5 P.M. Life goes on. At least for now. As residents of Yeonpyeong Island arrived on the mainland Wednesday and Thursday the Korea Coast Guard and firefighters checked houses and buildings, looking for casualties. Members of the Coast Guard said about 370 residents were moved to the mainland by fishing boats leaving behind their damaged town. 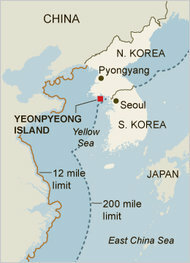 According to government statistics, 1,756 residents live on Yeonpyeong Island. Local officials said the water supply was normalized Wednesday afternoon, while Red Cross workers started supplying free meals for residents this Thursday morning. Mobile phone services have been recovered, but fixed phone lines remain down. A state-run power company dispatched engineers to restore electric power facilities for civilians and military outposts on the island. The BBC provided an aerial view video clip showing some of the damage. As announced Wednesday, the military drills set for the Yellow Sea–the front yards of China, South Korea and North Korea–will take place starting Sunday, November 28. 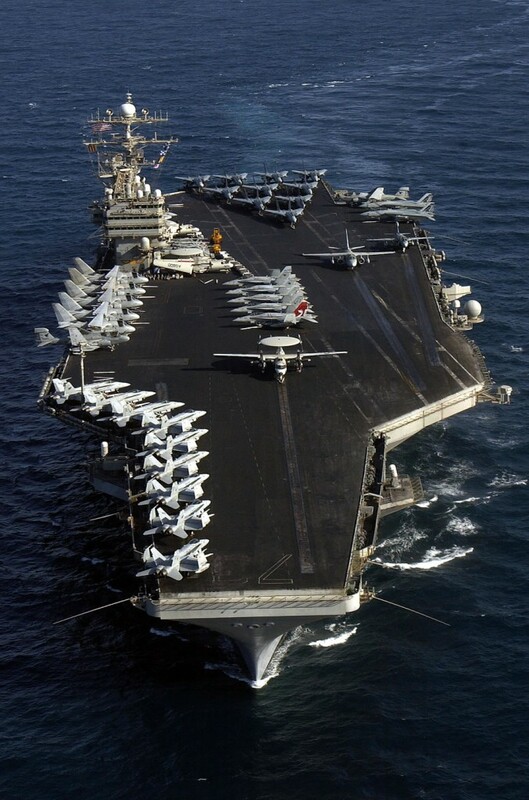 The nuclear powered USS George Washington set sail from a naval base south of Tokyo on Wednesday with 6,000 sailors and aviators and 75 warplanes along with four companion ships and at least one high-tech attack submarine. China is certainly pulling its hair and wringing it’s hands as it deals with an unwanted upping or the ante by North Korea. A tacit, well behaved North is in the best interests of China yet it again has the recalcitrant problem child stirring up the fire on the peninsula and in the region with its revelation of a uranium enrichment plant to Dr. Siegried Hecker of Stanford Univeristy (and a former director of the Los Alamos National Laboratory) and its shelling of a South Korean island. Now it is more difficult for the Chinese to protest about America’s presence in the region as a strong ally with the threatened South. North Korea’s renewed threats today don’t help. Former president Jimmy Carter had an op-ed published in the Washington Post that asks for Washington to heed the North’s “consistent” message that it wants to talk directly with the U.S. to arrange a deal to denuclearize. On a somewhat similar wavelength, North Korean pundit Andrei Lankov published a piece in the International Herald Tribune calling the North “the world’s most Machiavellian” regime that is adeptly using hostile acts to get people to “negotiate” i.e., pay up. He is less optimistic than Carter but both think it is time to sit down and come to some sort of agreement to prevent further provocations. On the ground in Seoul national lawmakers are calling for some heads to roll due to the inept response to the shelling and overall lax defense of the military. Some lawmakers from President Lee’s ruling Grand National Party even called members of the administration “bastards” because there was advice that the president needed to prevent an escalation. Explosions occurring on the North Korean coast near Yeonpyeong could be heard on Friday afternoon. Reportedly they were related to training the North is conducting. Nevertheless, those remaining on the island are on edge and reportedly fled to bunkers for safety. The South Korean military, on the highest alert level, is carefully monitoring the activities. 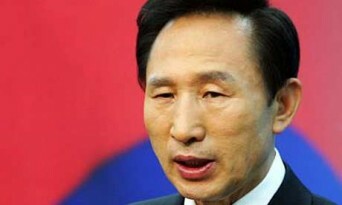 President Lee selected Kim Kwan-jin as the new defense minister to replace Kim Tae-young. 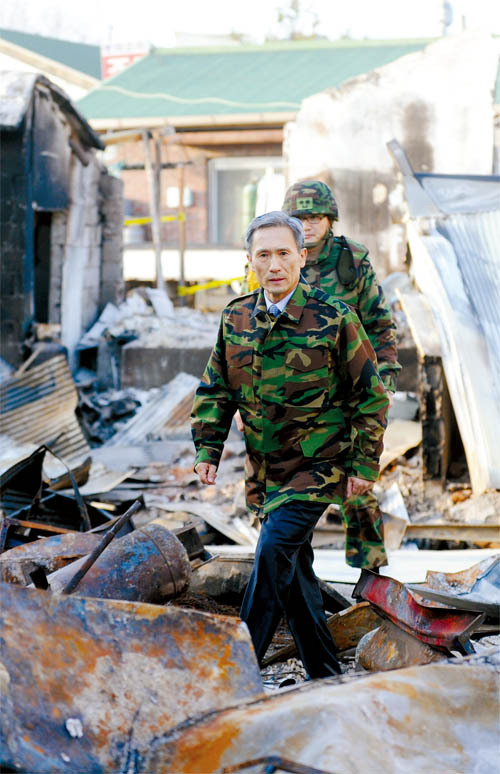 The 61-year-old Kim Kwan-jin graduated from the Korean Military Academy in 1972 and was the nation’s 33rd chairman of the Joint Chiefs of Staff until March 2008, when he was replaced by Kim Tae-young. after a rough tenure that handed him the two North Korean assaults: Tuesday’s shelling of the Yeonpyeong island that resulted in the deaths of four people, and the March 26 sinking of the South Korean naval corvette Cheonan, in which 46 sailors died. General Kim reportedly asked to be relieved of his duties back in May following the Cheonan attack but it was rejected by President Lee because he believed Kim’s service was necessary to deal with the follow-up to the sinking of the ship. Both incidents revealed weaknesses in the country’s defense, especially in its response capabilities. Reports on the Cheonan sinking showed large gaps between the initial explosion and notification of central command while the response to the shelling on Yeonpyeong took 13 minutes with only three of the six howitzers on the Marine base actually working. Moreover, critics say the 80 rounds fired were insufficient. China remains ambivalent about the attack but has, probably to its great frustration, issued a light rebuke to the planned exercises starting Sunday in the Yellow Sea. Chinese foreign ministry spokesman Hong Lei said on Thursday: “We have taken note of the related reports, and express concern on this matter,” he said. This is in sharp contrast to it’s fierce objection to the announcement of earlier drills in the Yellow Sea with the USS George Washington that were then rescheduled and relocated to the other side of the peninsula. Asked about China’s view of how the incident started, Mr. Hong offered only that the North and South “have different stories,” clearly following earlier statements that further “investigation” into the situation was needed. B.R. Myers puts things into perspective, damning the use of “provocation” and highlighting the fact the a military-first regime lives off of what it accomplishes not what it doesn’t (thus acts of aggression will continue). He says the regimes’ end must be hastened. Chinese State Councilor Dai Bingguo had a meeting with South Korean President Lee Myung-bak on Sunday and said China “opposed any acts that harmed the peace and stability of the Korean Peninsula,” China’s state news agency Xinhua said. The South’s defense ministry ordered about 400 domestic and foreign journalists to depart Yeonpyeong by the end of Sunday. nuclear submarine would also participate). South Korea has deployed a 7,600-ton Aegis destroyer, two 4,500-ton destroyers, frigates and anti-submarine aircraft, according to JCS officials. While the domestic and international media covers the issue around the clock, many everyday Koreans are getting on with their daily lives. Protests against the North have taken place but are mainly limited to small numbers of the elderly–many of them veterans–who are burning flags and pictures of Kim Jong-il. The overall amnesia that seems to settle in shortly after every North Korean act of aggression is rather bemusing. One has to wonder if it is intentional or, perhaps, wishful thinking that nothing more will happen to disrupt or interfere or distract people from their own individual aims and responsibilities. Speaking with a Samsung employee over the weekend one monkey found that things follow a rather predictable path. “I’m not sure what to think of it,” said the father of two. “They need things and are angry about our refusal to give,” he added. Was this time different? “Maybe, but they didn’t destroy the island–it was a few places,” he said. Shortly thereafter the conversation veered to daily life and how things generally are. One male student voiced his opinion about not being afraid: “The North will not start a war with us because their main goal is to protect the Kim’s rule of the country. They would not put that in danger.” The world can only hope that the regime is so selfish, especially us here in Seoul less than 50 miles from the weapons and soldiers just across the DMZ. On Monday morning, November 29 President Lee Myung-bak spoke to the public for the first time since the attack on Yeonpyeong Island (one might wonder how effective a 10 A.M. speech is at reaching the overall public). Reports quoted the president as saying, “If the North commits any additional provocations against the South, we will make sure that it pays a dear price without fail,” he said. This would seem to be an attempt at placating members of the public who have expressed outrage at the lax response to not only the Yeonpyeong shelling but the sinking of the Cheonan back in March. In the last few days there have been some vociferous op-eds calling for the North’s “heads” this time. While others have voiced the general consensus that the ROK military needs to bolster its ranks and capabilities. If the reports about the military’s ineptitude and unreadiness are true, it is nonplussing since the Cheonan was sunk eight months ago in that same region. In regards to the Cheonan, there are still doubts within Korea that it was sunk by the North despite a multinational investigation that provided extensive evidence. See here for the 3WM coverage of that controversy. One aspect of the skeptics argument was a number 1 that had been written on the torpedo that was determined to be the one used to sink the ship. Skeptics claim that the South Korean government somehow manipulated the evidence, perhaps writing the number on the torpedo that wasn’t even the real torpedo. North Korea also denied that it writes numbers on its weapons. Over the weekend, shells from the Yeonpyeong attack were also shown to have numbers written on them. All the while it seems that advocates of the “sunshine policy” first applied under President Kim Dae-jung and continued under Roh Moo-hyun may be starting to waver after this latest attack. Ra Jong-yil, national security advisor under Roh Moo-hyun, refers to Japan before WW II while defending America’s presence in the region since the end of the war (yet, he also calls for some leadership within the region to hasten the U.S.’s departure). China, in a two-step shuffle, has now implored that the 6-party talks members convene in Beijing as soon as possible to deal with the crisis and instability in the region. One could take this as offensive–a bit like being asked to meet with someone who just killed someone you care about on the day of their funeral–or as a sign that China wants to take the lead while dumping the emotional baggage to the curb. 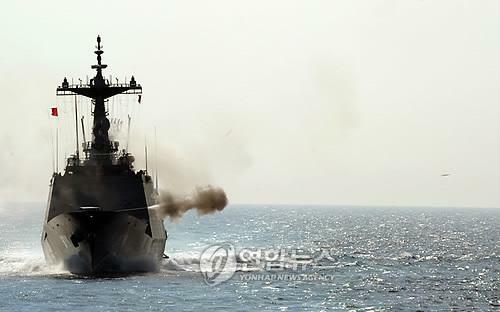 As military exercises neared there last day, Korean and U.S. forces practiced stopping ships suspected of transporting weapons of mass destruction which is part of the Proliferation Security Initiative. In addition, exercises to intercept enemy aircraft took place using advanced radar systems. The South’s Joint Chiefs of Staff (JCS) also said that exercises have been going on around the clock since the start on Sunday. On a different note but no less significant, day-by-day U.S. diplomatic cables were released by Wikileaks revealing many confidential exchanges between embassies all around the globe. Of course, the cables related to North Korea have shined a light into the “black hole” of the region as diplomats apparently call it. David Sanger at the New York Times provides a good summary of the exchanges between China, the U.S. and South Korea which, essentially show more of what isn’t known than what is. Interestingly, despite his stroke, Kim Jong-il (aka KJI in diplospeak) still likes to knock ’em back and strikes fear into even top Chinese officials. The Guardian is a ready source for the cables if you’re overwhelmed by the plethora of data at Wikileaks.